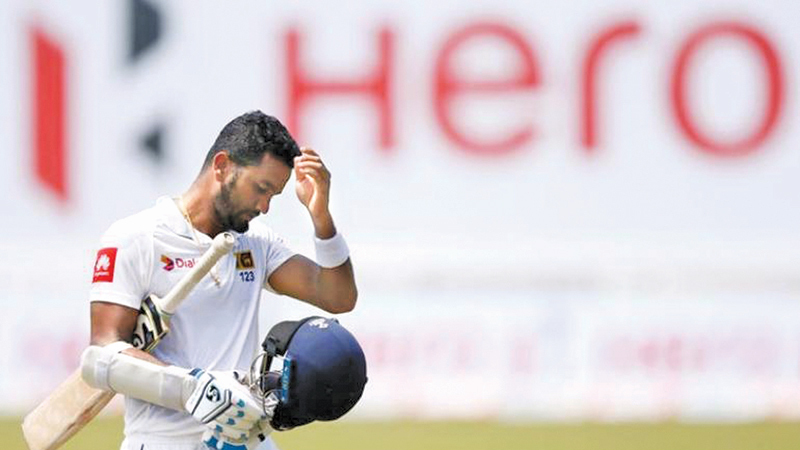 Sri Lanka Cricket has slapped a fine of US$ 7,500 equivalent to one Test match fee on Sri Lanka cricketer Dimuth Karunaratne for violation of player contract for drunk driving leading to an accident where his car was involved in a crash with a three-wheeler. Following court proceedings Karunaratne had his driving licence suspended for three months. Karunaratne has agreed to compensate the aggrieved party. Meanwhile, in a new move, Sri Lanka Cricket are to carry out random breathalyzer tests on players during the Super Provincial one-day tournament which will be held in Dambulla and Pallekele from April 4-11. The tournament is being used as a guideline to select the Sri Lanka squad of 15 for the World Cup in England. Silva said that SLC will commence their campaign during the Super Provincial one-day tournament where random tests will be conducted on players during practices and in the morning of the match. “We will be very strict on offending players and fine them heavily and if they are caught a second time we will even impose bans,” Silva said. Last August Sri Lanka cricketer Danushka Gunathilaka was suspended for being drunk and skipping training. He had turned up at the Pallekele International Stadium for an ODI against India without his kit bag after late-night partying.